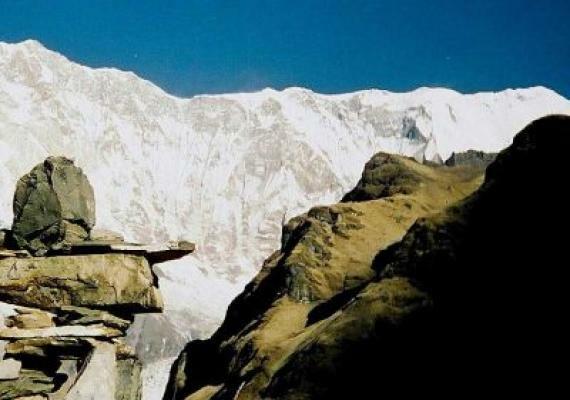 Dhaulagiri Circuit Trek is one of the famous trekking destination, first discovered in 1950 by French expedition team. It is extremely challenging as well as tough trek around the Dhaulagiri, world seventh highest peak(8167m) that lies north-west of Pokhara culminating to its highest point at the eastern end. An awfully exhilarating trek to Dhaulagiri Circuit takes you following striking icy glaciers, lateral moraine, and high snow-covered slopes along with a splendid view of the majestic Dhaulagiri massif including other breathtaking above 7000m mountain peaks to the Dhaulagiri Base Camp. This amazing trek is dream fulfilling for travel lovers by passing massive challenging mountain passes, moving over Thapa peak (5,200m) and French Peak (5,360m). Passing two highest Mountains namely Dhampus pass at an altitude of 5234m and French pass at an altitude of 5360m makes you feel as you achieve the biggest award. Beside this, you can experience real mother nature that Dhaulagiri is rich in various flora and faunas. Dhaulagiri Circuit Trek begins from Kathmandu with a scenic flight to paradise city called Pokhara. After exploring this heavenly city, we can begin out the trail to Beni, a bank of Kali Gandaki and Myagdi Khola, passing through dense forest and terraced hilly area. Most of the way is covered by snow and glaciers. During the journey, we can meet various ethnic group such as; Magars, and Gurungs and get chances to observe their traditional lifestyle and unique culture of them. Our trail will find two base camp: Dhaulagiri Base Camp, and Italian Base Camp. 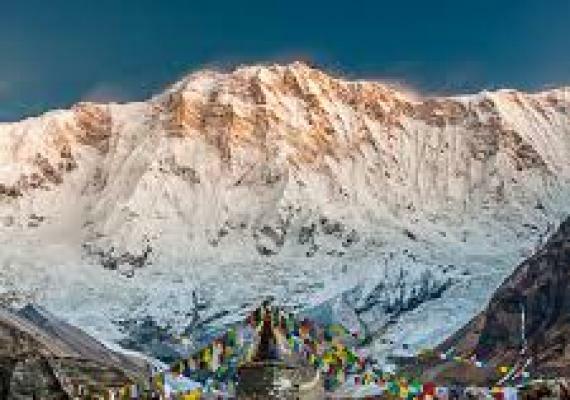 Dhaulagiri Circuit Trek is perfect for those trekkers who can take full enjoyment in the challenging trail with scenic beauty. Day 02: Drive to Pokhara (900m) by tourist bus. Day 03: Drive Pokhara to Beni (830m). Traverses the head of the hidden valley, crossing French La Pass. Visit Barahi Temple, Fewa Lake, Gupteswor Cave, David Fall, Seti River Gorge, Mountain Museum and others. Magnificent mountain view; Mt. Machhapuchre(fishtail), Dhaulagiri, Himalchuli, Annapurna and many more from Pokhara. As you arrive at Kathmandu Tribhuvan International Airport, our representative will greet you and drop you at your hotel, where you can take a rest and be fresh. 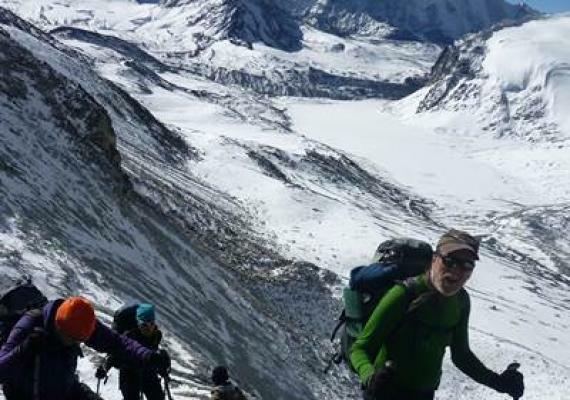 In the evening, our representative will provide you short briefing class about the Dhaulagiri Circuit Trek and we will have a special a Nepali dinner in the local restaurant and stay overnight at Hotel. Day 2 : Drive to Pokhara (900m) by tourist bus. Today, after early breakfast, you will drive to Pokhara from Kathmandu that takes around 6 hours. Throughout 6 hours journey, you will quickly descend to the beautiful Trisuli River and follow upstream to its junction with the Marsyangadi River through terraces fields and beautiful hill town to the Seti River and finally reach to Tourist’s paradise city Pokhara. In the evening we can explore the natural and cultural heritage site of Pokhara. Overnight at Pokhara. Day 3 : Drive Pokhara to Beni (830m). Next day, after early breakfast, we drive to Beni from Pokhara through uphill into moderate road all the way to Naudanda. Then we can descend by following Hangza, Naudanda, Nayapul, Kusma with astonishing views of Machhapuchhre (Fishtail), Annapurna South, and Green hills on the background. We also cross Terraces and native villages and finally reach to Beni. Overnight at Beni. In this day, after early breakfast, we continue our trail to Takam. It takes around 5 hours to reach Takam. During 5 hours journey, we can enjoy the rough rubble that gives us a way to the smooth ice of the white part of the glacier. 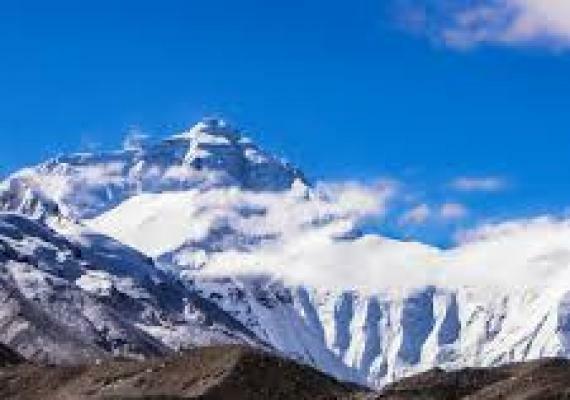 Then we can climb gradually to the rough and chilling way along with spectacular Dhaulagiri Base Camp views and finally reach to Babiyachaur and further climb will take you to the Takam village. overnight at Takam. This day we trek gently ascend through the forest with varieties of oaks, rhododendron and pine trees. During the trail, chirping sound of the local birds makes our trails pleasing and we will follow quite a flat land passing through a stream at one place. The way you trek is a muddy road crossing some of the ethnic villages at some of the places and reach to Muri, elevation of 1850m. Overnight at Muri camp. Today, we continue our trail towards Boghara. From Muri, we will have an easy trail and goes down for a few hours. However, before reaching Boghara, we need to climb a steep way and descends down to the Phedi and then the trail ascends up until we reach to Boghara. Overnight at Boghara. Next morning, after early breakfast, we will continue our trail towards Dhoban, at the elevation of 2630m. the way to Dhoban is quite difficult and sometimes we may need the help of the ropes. Our trail descends down to a small ridge then crosses forest to Jyardan and finally, reach to Dhoban. Overnight at Dhoban. Today, after early breakfast, our trail will continue towards Italian Base Camp, situated at an elevation of 3660m. During our 5 hours trek, we can follow the beautiful forest and enjoy the undisturbed pure nature of the area and reach to the in front of the west wall of the Dhaulagiri. After reaching over there, we will have splendid views of Dhaulagiri and stay overnight at Italian Base Camp. Today, we can acclimatization in the Italian Base Camp, at the altitude of 4250m, for the purpose of exploring around the valley and take a rest to gain energy to trek high passes the next day. Overnight at Italian Base Camp. In this day, we can continue our trail around 5 hours to reach Dhaulagiri Base Camp, at the altitude of 4750m. The way is full of smooth ice, white glacier so we need to be very careful during our trail and take a help of rope if necessary. The challenging way compensate by the hypnotic glamorous of the surrounding. Around 5-hour trek takes us to our destination, Dhaulagiri Base camp. Stay overnight at Base Camp. In this day, after early breakfast, we make our trail towards Hidden Valley(5050m) through the French col, at an elevation of 5360m. The way is full of the glacier above the hidden valley, today we often require rope to climb up. During the way, we can steep over the moraine walls and reach gentler, less strenuous country. Around 5 hours challenging trail lead you to the French Col from where, we can have a spectacular view of the hidden valley, reminiscent of Tibet and Ladakh. The further trail will lead us to the Hidden Valley. Overnight at Hidden Valley. We will continue our trail from Hidden Valley to Yak Kharka. On the way, we will ascend over 5200m Dhampus Pass and continue to trail through prone slopes and descend steeply towards Yak Kharka. Overnight at Yak Kharka. From Yak Kharka, you will continue your trail towards Jomsom, at the altitude of 2720m and end your trekking trail. Overnight at Jomsom Hotel. Today, we will finish our trail towards Dhaulagiri Circuit Trek. We will take an air flight from Jomsom to Pokhara. Around 30m scenic flight offers us magnificent aerial views of the mountains. As you reach to Pokhara, you will be transferred to the hotel, where you can take a rest. In the evening, you can once explore this paradise city and stay overnight at Pokhara. Today early in the morning we drive to the Sarangkot hill to see the incredible sunrise view over the mountain which you considered it’s a rear view and on the way back to Pokhara, you will visit Bindabasini Temple. Pokhara is famous for its many beautiful places including Barahi Temple, Fewa Lake, Gupteswor Cave, David Fall, Seti River Gorge, Mountain Museum and others. You will explore all these places along with magnificent mountain view; Mt. Machhapuchre(fishtail), Dhaulagiri, Himalchuli, Annapurna and many more in this day. Day 16 : Pokhara to Kathmandu by tourist bus. Today early morning after having breakfast, we can drive to Kathmandu by tourist Ac bus. Around 6 hours scenic drive take us to the Kathmandu. Where you can rest and view all the images captured during the trek. Overnight at Kathmandu. After an early breakfast, our representative will help you to find your final destination.